As of January 16, 2009: The latest news in the diamond industry is: 1,200 jobs are being cut across several South African diamond mining companies. They are feeling the effects of the global economic downturn. 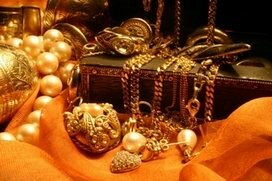 The economy is down and high-priced merchandise like diamonds serve no practical day--to--day value. The global giant DeBeers is also looking to cut around 1,400 jobs. 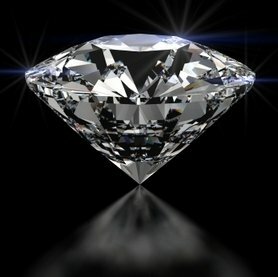 The price of a diamond is high due to the scarcity of artifical stones, and if more diamonds are sold, they should lower in price, some sources say. The Trade Union states, "this brings to 1,200 the number of planned retrenchments in the local diamond industry." Solidarity said notices were received this week for the retrenchment of about 500 employees at Sandstraat Eksplorasie, Diamond Core MIning and Exploration, and Rockwell Diamonds. Last year notices were issued for the retrenchment of more than 700 employees at Namakwa Diamonds and Petra Diamonds. Angola has cancelled a diamond conference on ways to raise output and improve the image of diamond producers due to the impact the global financial crisis is having on diamond prices, the government said on Thursday. The World Diamond Summit, is one of the most important gatherings for the diamond producing nations and companies. The summit was scheduled for November in Angola's capital Luanda. "This decision is in line with the will of the international diamond community at a time when the economic and financial crisis is having a significant impact on the diamond industry," the Angolan government said in a statement. The prices of polished diamonds fell 13 percent since reaching a peak in August of last year, according to Polished Prices, an independent news and price list provider to the diamond industry. The diamond industry was also hit hard in the United States, which accounts for half of the world diamond demand, as well as Europe and Japan, by the economic slowdown. The hopes of the diamond industry reviving were changed as gems and jewelry manufacturers felt that little help has been provided to them in the Interim Budget for 2009-10. The Surat diamond industry (Rs 500 billion) has been hit the hardest by the financial meltdown. It is likely to see more layoffs in times to come, according to the industry players. Currently, 150,000 diamond workers have lost their jobs. Former president of the Surat Diamond Association, Pravin Nanavati said, "with the ongoing financial turmoil hitting the industry hard, the stakeholders of the industry were expecting a relief or a bailout package. This has not happened in the Budget." Antwerp (IANS): A whopping $43 billion of rough and cut diamonds passing through Antwerp are engaged in the trade, this Belgian city is home to 300 Indian families mainly from Palanpur in Gujarat. 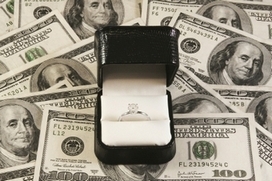 Its diamond market is dangerously overdrawn and reeling from the financial meltdown. The repercussions of this economic crisis on the industry are dire and widespread; 500,000 jobs have been lost in the Indian diamond-manufacturing hub of Surat in Gujarat while big diamond houses in Israel, an important diamond centre, have already started reporting bankruptcies. Traditionally in America, the Christmas shopping season was historically proven to be the most profitable and busy period for the diamond industry. However, the banking and sub prime crisis in the world's largest market for diamonds led to a 20 percent drop in sales in the country which normally consumes about half of the world's polished diamond supply.